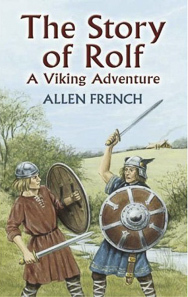 Rolf, a young and determined Viking bowman, faces many dangers after he vows to pursue and bring to justice the men responsible for his father’s death. Set in ancient Iceland, Allen French’s suspense-filled novel pits Christian fighters against pagan warriors during the early years of Christianity. Brimming with exciting tales of brave men and women who led legendary lives, this thrilling tale will captivate today’s young readers, just as it enthralled audiences generations ago.